People are obsessed with Pokemon Go in 2016, resembling 2004. But did you know the man who took twenty years to get overnight success? He is John Hanke, Founder of Niantic Inc.
John Hanke is an American entrepreneur. He currently runs Niantic Labs, a company which explores experimental mobile, social, and local applications such as Ingress and 'Pokémon Go'. Prior to joining Google, Hanke founded and was CEO at Keyhole, Inc.. Google acquired Keyhole in 2004, at which point Keyhole's flagship product was renamed to Google Earth.After Keyhole's acquisition, Hanke spent several years as Vice President of Product Management for Google's "Geo" division (Google Earth, Google Maps, Local, StreetView, SketchUp, and Panoramio). The Niantic team had three big goals in mind when building "Pokemon Go," Hanke says. Exercise: A lot of fitness apps come with a lot of "baggage" that end up making you feel like "a failed Olympic athlete" when you're just trying to get fit, Hanke says. "Pokemon Go" is designed to get you up and moving by promising you Pokemon as rewards, rather than placing pressure on you. "To see the world with new eyes:" The game is intended to "give you a little nudge" towards cool and interesting things in your neighborhood by turning real-life landmarks and historical sites into Pokestops and Gyms where players power up and battle. 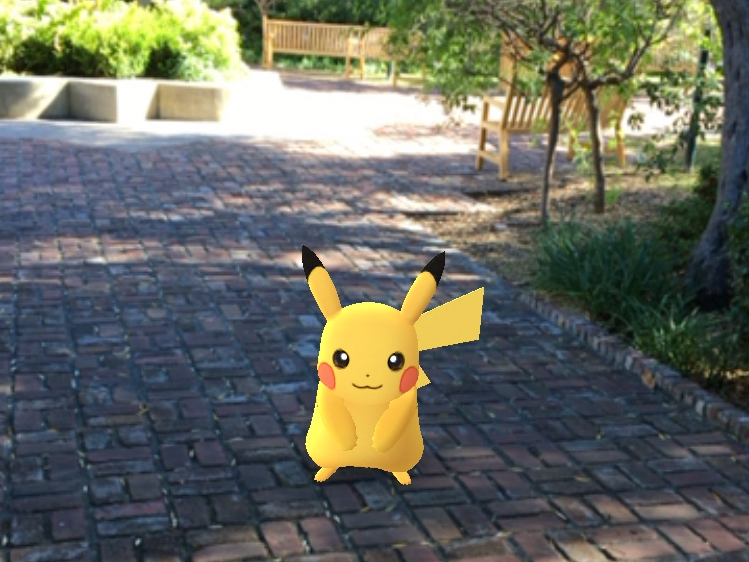 By encouraging exploration, "Pokemon Go" can "make your life better in some small way," Hanke says. Breaking the ice: All over the world, players are organizing "Pokemon Go" outings, cruising around their area and trawling for Pokemon. At higher levels, players need to team up with fellow players to conquer those Gyms. This is by design: Hanke describes "Pokemon Go" as an "icebreaker" that "gives people a reason to spend time together." It's like no other game out there, Pokemon or otherwise. That's great news for Nintendo and its share price, which has skyrocketed on the indication that it can thrive in a smartphone-driven world. And while "Pokemon Go" may be an overnight sensation, it took a lot of work, a lot of hard thinking, and a little bit of luck over the last few years to make it what it is. Before "Pokemon Go," Niantic was best known for "Ingress" - the Android and iPhone game that challenged players to explore the world around them and claim territory. At its peak, "Ingress" counted millions of players around the world. "Pokemon Go" is like a spiritual sequel to "Ingress." 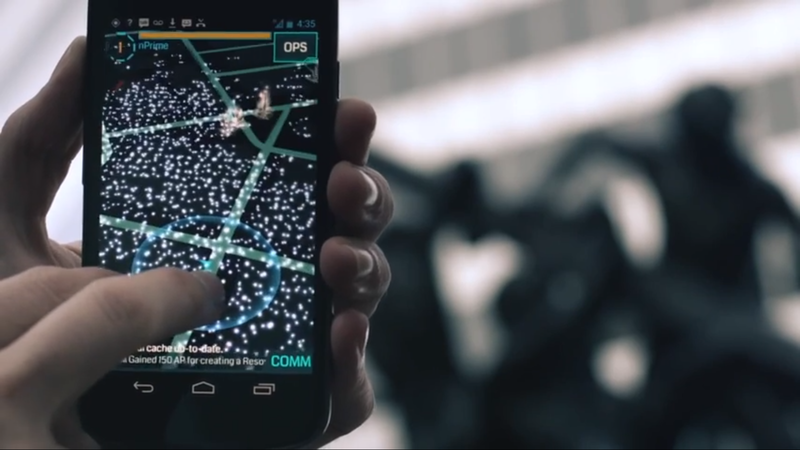 Niantic took a lot of the "Ingress" data, and a lot of the lessons it learned about keeping players safe, to make "Pokemon Go" work and populate its world. To hear Hanke tell it, that's because "Ingress" was always intended to be kind of a proof-of-concept for ways in which Google and Niantic could help outside partners and customers build their own games. "Our intent was to make a platform for many different experiences," Hanke says. And Pokemon was a natural fit. Enter the Pokemon Company - the joint venture that co-owns the Pokemon copyright, with Pokemon game developer Game Freak, toy maker Creatures, and Nintendo all holding an equal stake. Google and the Pokemon Company first connected on April Fools' Day 2014, when a short-lived but extremely viral game challenged players to find Pokemon via the Google Maps mobile apps. People loved it: Google Maps plus Pokemon was "like chocolate and peanut butter," Hanke says. And an idea was born. Emboldened by the success of the April Fools' Day joke, Niantic pitched Nintendo and the Pokemon Company on the game that would become "Pokemon Go." It turned out that Pokemon Company CEO Tsunekazu Ishihara was already a high-level "Ingress" player in Japan, which made those conversations much easier. And the late, beloved Nintendo CEO Saotoru Iwata gave his highest approval to the project, recognizing that the company was late to the smartphone era, and willing to bet on Niantic to help turn things around. "They totally got where we were coming from," Hanke says. In early 2015, around the same time that Google was beginning to talk internally about spinning non-core businesses off into a holding company called Alphabet, the idea of Niantic "perhaps becoming its own thing surfaced," Hanke says. The logic, he says, was that "we were always kind of bumping up against Google's desire to stay neutral," Hanke says. Google builds products like Maps, and marketplaces like the Google Play Store, as a "horizontal, low-level platform," Hanke says. It meant that Niantic couldn't be given special treatment over any other developer using Google platforms, or those other developers might get upset and look for alternatives. Plus, it opens up the door for Niantic to work with other customers and partners who might have been scared off by the prospect of working with a superpower like Google. The values and needs of certain customers were "not always aligned with Google," Hanke says. At the same time, it was thought that it would only help Niantic's collaboration with Nintendo and the Pokemon Company if they held a financial stake in the venture, and they could "open up and share more" if they had some percentage of ownership in the finished product. 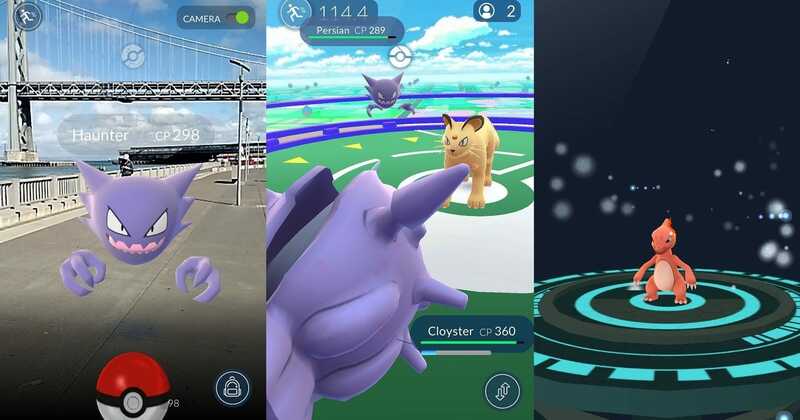 Everything "kind of lined up," and in late 2015, Niantic spun off with Google, Nintendo, and the Pokemon Company all participating in a $20 million investment round to kick things off. Hanke has only praise for the process of working with The Pokemon Company, its main collaborator on the project. There was a funny thing, though: The Pokemon Company loved "Ingress," and Niantic loved the Pokemon series, and they each wanted the game to be more like the other. "We were trying to pull things from Pokemon, and they were more from 'Ingress,'" Hanke says. The two companies shared crucial elements like the three-dimensional models and sounds for the Pokemon themselves, saving a lot of time while also ensuring "Pokemon Go" was as true to the classic games as possible. The music, notably, is similar to the original Pokemon games - Junichi Masuda, the composer of the classic low-fi soundtrack on the original "Pokemon Red and Blue," wrote a new score for "Pokemon Go." Masuda, who has since become the director of the modern Pokemon games, including the forthcoming "Pokemon Sun and Moon," also helped Niantic develop "Pokemon Go's" signature "capture" mechanic of throwing Poke Balls with precision at the monsters, Hanke says. The goal was to make something that was recognizable to fans of the classic Pokemon games, including catching and battling, but that was "more accessible" to people who don't have the time or willingness to learn the more "demanding" systems of the original games. Catching Pokemon, especially, is supposed to be easy to learn, as an easy on-ramp to later-game mechanics like battling and capturing Gyms. In fact, Hanke says, Niantic almost didn't include the Pokemon games' key element of "evolving" a Pokemon into a new form to make it stronger, because they were afraid it might be too complicated for new players. But they eventually relented. And sooner rather than later, Hanke says, more classic features like Pokemon trading with friends is coming. "We honored the spirit of the original game," Hanke says. "I like where we landed." 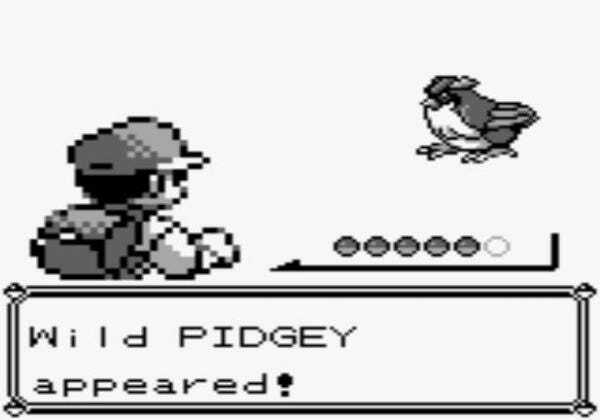 So if you're a part of the "Pokemon Go" phenomenon, understand it was a series of very deliberate choices that got you hooked, the culmination of a long road that began many years ago. Oh, and I caught the Pikachu.